After a period of relative calm, the Far North region of Cameroon, along the Nigerian border, has witnessed an upsurge of attacks by Boko Haram in recent days. On 17 August, a church elder was killed in a night raid carried out by the radical Islamist group on Moskota village. Adamu Nguda, formerly a church elder in Mouldougwa, was displaced to live as an IDP in Moskota. His killers also kidnapped his six children – between the ages of three and 15. His wife was left behind in a state of total shock. In a separate attack the same day, attackers also burned the house of Lazare Mahama, another Christian. They stole his wallet, containing money and ID documents. The attackers also burned an undetermined number of properties. Earlier on 6 August, eight children were killed in a suicide attack in Amchide. The suicide bomber, a young child, met the children while they played outside in the evening – then detonated his bombs. According to a local church leader, all eight children had attended Sunday school in Amchide, as part of the Union of Evangelical Churches (UEEC) . The recent attacks have reignited fears in local Christians; some have begun to flee their homes. The recourse to children as suicide bombers by Boko Haram is not new. UNICEF says the group has sent out four times as many child suicide bombers this year in northeast Nigeria as in all of 2016. 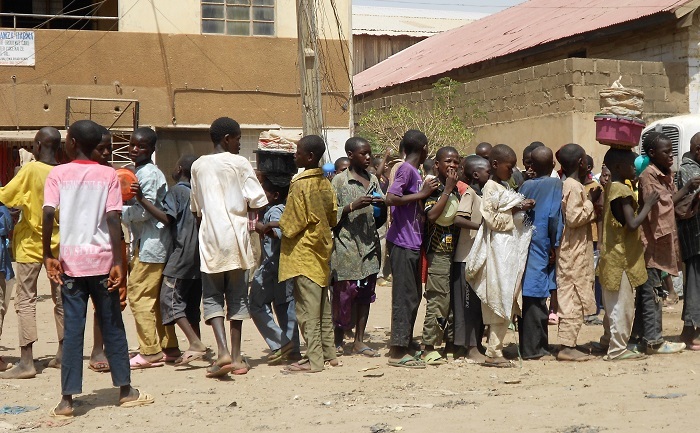 It says it is “extremely concerned about an appalling increase in the cruel and calculated use of children, especially girls, as ‘human bombs’ in northeast Nigeria. The use of children in this way is an atrocity”. Eighty-three children were used as bombers since 1 January this year, UNICEF says: 55 girls, mostly under 15 years old, and 27 boys. One was a baby strapped to a girl. Nineteen children were used in 2016.